The textile and garment industry is projected to earn an export value of US$34 billion in 2018, second only to the telephone industry in the country, according to specialists. Mr Vu Duc Giang, Chairman of the Vietnam Textile and Apparel Association (VITAS), said the textile and garment industry is estimated to reach over US$31 billion in 2017, an increase of more than 10 per cent over 2016. Particularly, apparel and textile exports valued US$25.9 billion, up 8.7 per cent; yarn exports brought home US$3.5 billion, up 19.9 per cent, and fabric exports approximated US$1.1 billion. Excluding imported raw materials for domestic production, the sector enjoyed an all-time trade surplus of US$15.5 billion. The United States, though rejecting the Trans-Pacific Partnership (TPP), still signed stateside export orders, contrary to many forecasts of falling export value, he said. 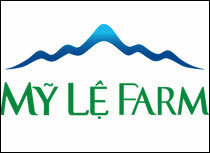 Data showed the United States was still the biggest importer of Vietnamese garments and textiles, accounting for 48.3 per cent of the country’s shipments or US$12.53 billion, up 9.4 per cent against 2016. In addition, apparel exporters actively sought new markets. While making new products for traditional markets such as ASEAN, Eastern Europe, the European Union (EU), Japan and South Korea, the Vietnamese garment and textile industry also marked an impressive milestone when its shipment value to neighbouring China amounted to US$1 billion. Moreover, according to the tariff reduction scheme of the ASEAN Trade in Goods Agreement (ATIGA) enforced in 2018, up to 99 per cent of tariff lines on imports from ASEAN-6 countries will be set at zero, thus opening up many opportunities for the Vietnamese textile and garment sector in the broad ASEAN Economic Community (AEC). 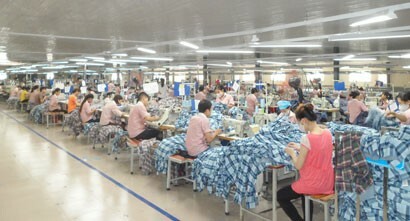 Despite the bright future, according to many experts, the Vietnamese garment and textile industry also needs to be aware of bitter experiences in the past, like dumping accusations and the loss of yarn output in the Chinese market following policy changes there, in order to take solid steps to the future. 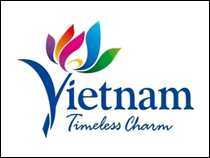 Mr Truong Van Cam, Vice Chairman of VITAS, said that current successes of the Vietnamese garment and textile industry come from enterprises’ quick grasping of opportunities to diversify markets. Importantly, the growth of driving big companies plays the industry-leading role. New markets of the Vietnamese garment and textile industry have been thus clearly defined on the export map in 2017, with named locations including Japan, South Korea, Russia, Africa and the Middle East. 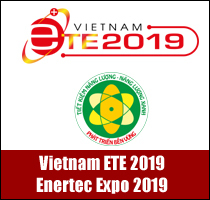 Furthermore, to ensure sustainable development in the coming time, the textile and garment industry should pay attention to making full use of competitive advantages, mechanisms and policies of bilateral and multilateral trade agreements signed and negotiated by Vietnam. 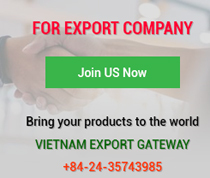 For example, the Vietnam - Eurasian Economic Union (EEU) Free Trade Agreement (including Russia, Armenia, Belarus, Kazakhstan and Kyrgyzstan) has fundamentally changed the perspective of businesses there in Vietnam. 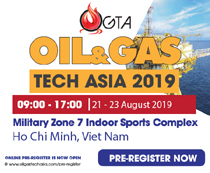 In particular, playing a pioneering role in penetrating into Russia are Nha Be Garment Corporation and Duc Giang Corporation, among others. The sector has also taken full advantage of ASEAN - Japan Comprehensive Economic Partnership Agreement (AJCEP) and the the Vietnam - Japan Economic Partnership Agreement (VJEPA). Along with them, the Vietnam - European Union Free Trade Agreement, scheduled to come into effect in mid-2018, is expected to bring more success to the industry, according to experts. 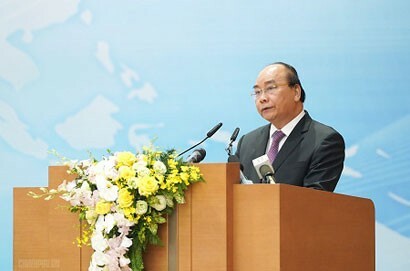 Furthermore, Vietnam’s garment and textile industry will be positively affected by ongoing FTA negotiations such as the Regional Comprehensive Economic Partnership (RCEP) Agreement between 10 ASEAN countries and six major economies (China, South Korea, Japan, India, Australia and New Zealand) and the new version of Trans-Pacific Partnership (TPP) - Comprehensive and Progressive Agreement for Trans-Pacific Partnership (CPTPP). These are foundations for policy changes creating driving force to attract foreign investment, offset sectoral shortages and sustain the future development.